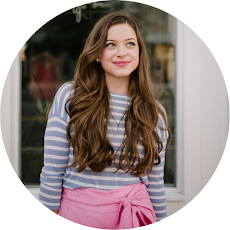 Ok you guys- I can't contain my excitement because National Stripe Day is coming up!! 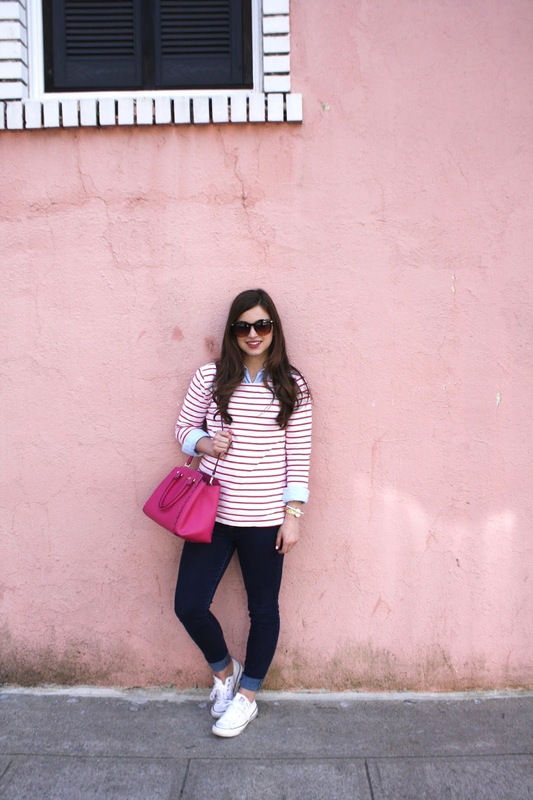 I love rocking stripes- so preppy, classic, and always in style! If you look in my closet, I have a whole section dedicated to stripes!! 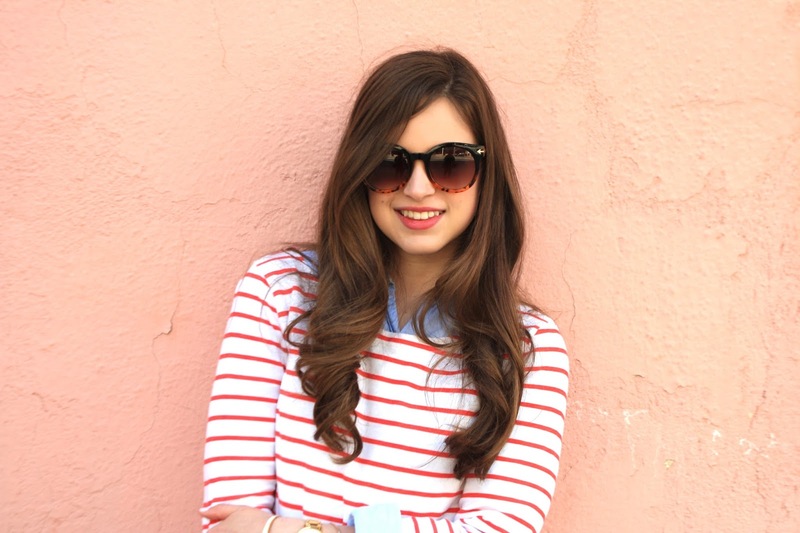 J.Crew announced that National Stripe Day is March 31. 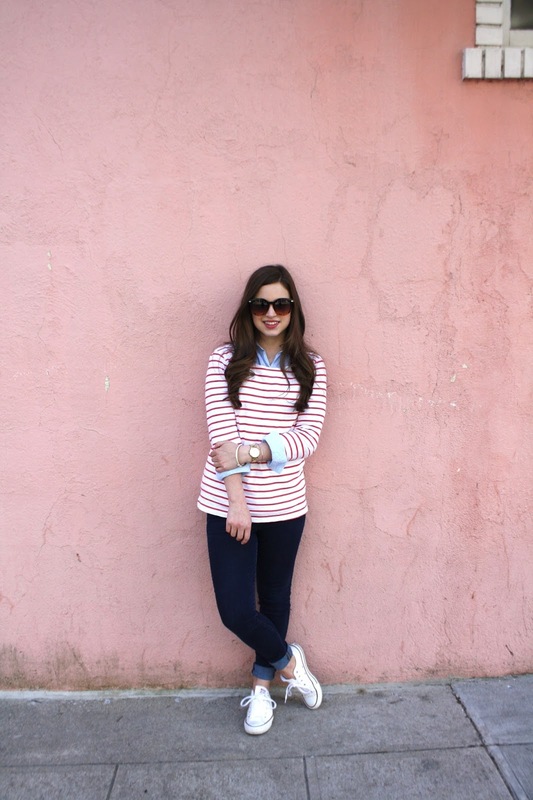 To celebrate such a preppy-filled day, I am sharing one of my go-to outfits for a J.Crew classic- the striped tee. 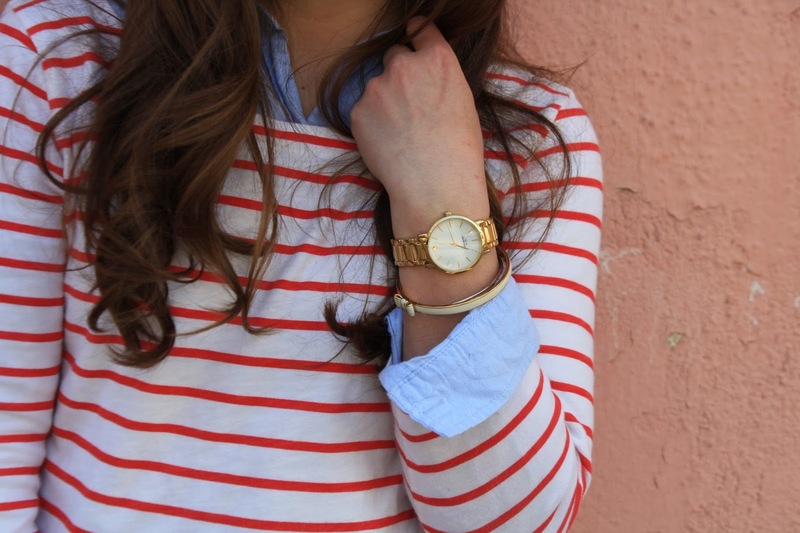 I love the quarter-sleeve J.Crew striped tees. 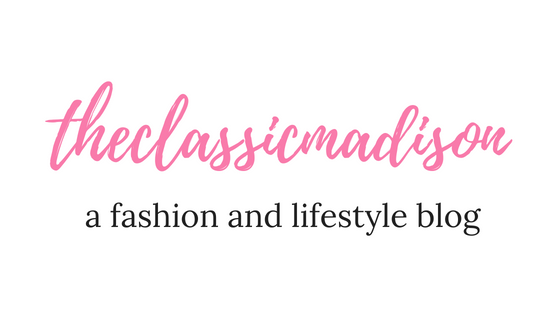 They are so classic, comfy, and inexpensive! I have about 10 (crazy, right??). Sometimes I wear them by themselves or I will layer a button up underneath for layering. I feel that a lot of people don't know about this hidden trick, but it layering these tees over a button up works for all seasons and is so effortlessly classic. I also vary up the pants and the shoes for this type of outfit. 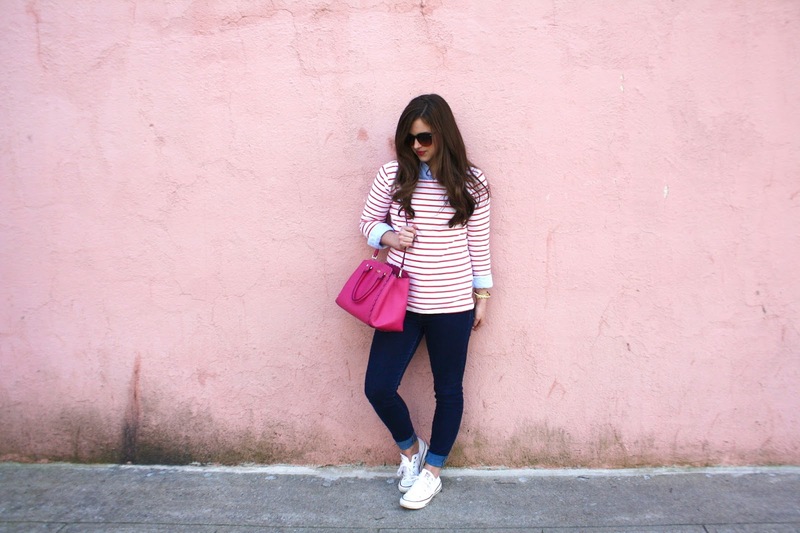 Having basics in your wardrobe like these has the capability for many outfit combinations! Today I went for a more casual look, so I wore jeans and my trusty converse. 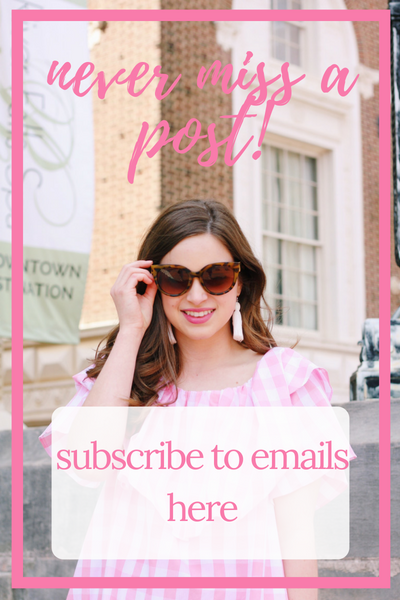 I kept details simple- my oversized sunglasses, Kate Spade watch and bow bracelet, and some pearls. I also added my hot pink Kate Spade purse. 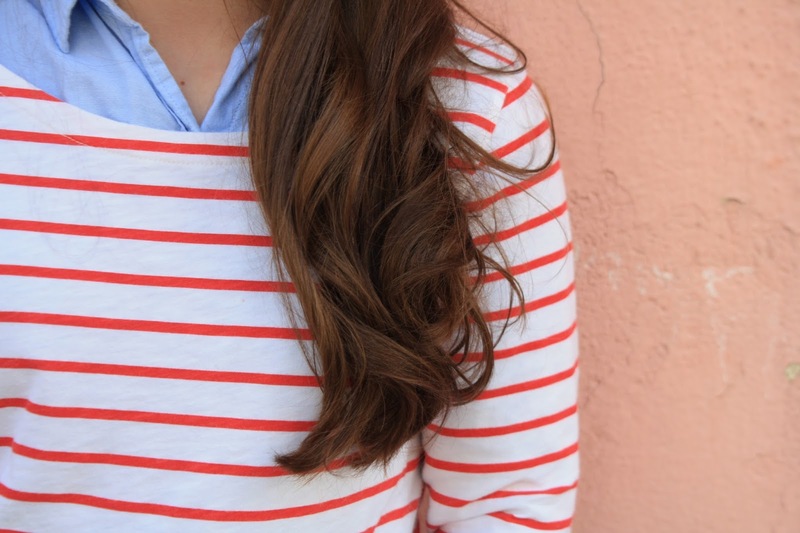 Happy National Stripes Day loves! 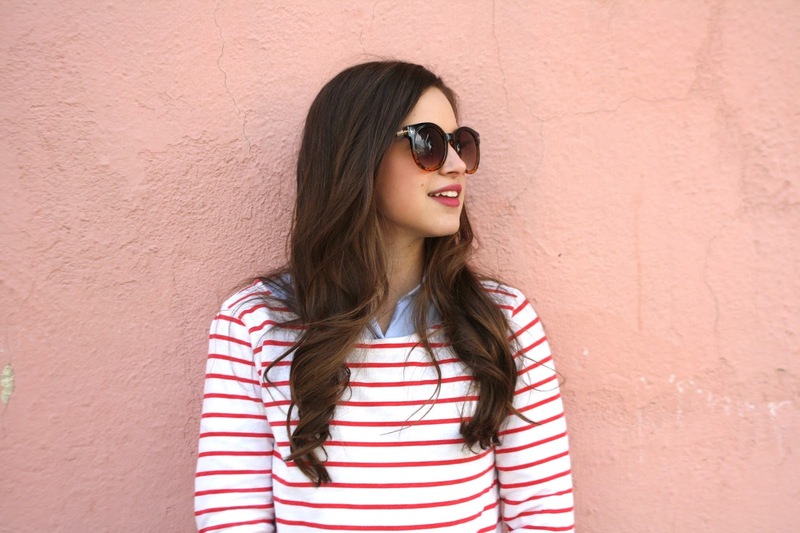 Remember, on March 31, show your pride for stripes and enjoy the timelessness of a good striped tee.